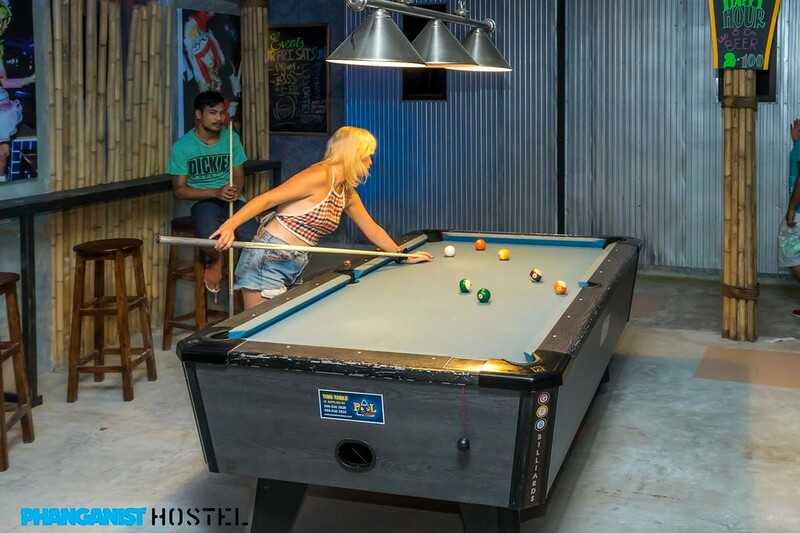 We have pushed the standard of island hostels to an all-new high offering flashpacker accommodation in our brand new dormitories. No more overly crowded dorm rooms, no feet next to your head or smelly breath from your bunk neighbor! We have the capacity to room 80 people in total, with 8 brand new mixed or female dorm rooms. All of our 10 bed air-conditioned dorm rooms has a clean and stylish cut, each bed with its own privacy curtain, bed separation wall, bedside lamp and power plug so you can kick back and relax as a true Phanganist. We have specially designed one of our dorm rooms with a larger space and direct access to 2 toilets. Perfect for people traveling in a large group. If that’s you, give us a shout and we will reserve you the famous room no. 1! 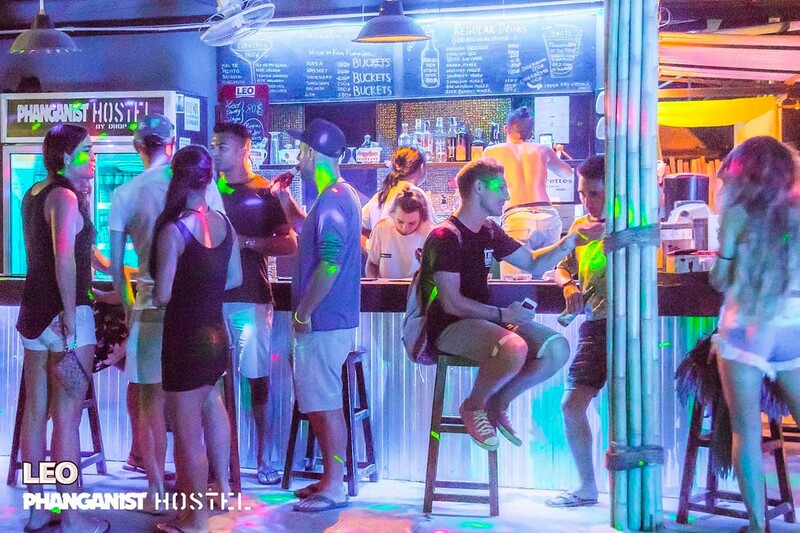 As we all traveled the world before setting up camp on Koh Phangan, we know from experience, that it’s such a drag having to wait for a free toilet while someone is taking forever in the shower. For that reason, we have built 10 separate hot water shower rooms making it super easy to rinse off. We have a total of 9 toilets and 5 urinals on Hostel grounds together with huge mirrors outside by the separate sinks. We provide free WIFI all throughout Phanganist Hostel. Stay connected with the outside world and send your love to Mum while chillaxing by the pool or in the privacy of your luxury bunk. 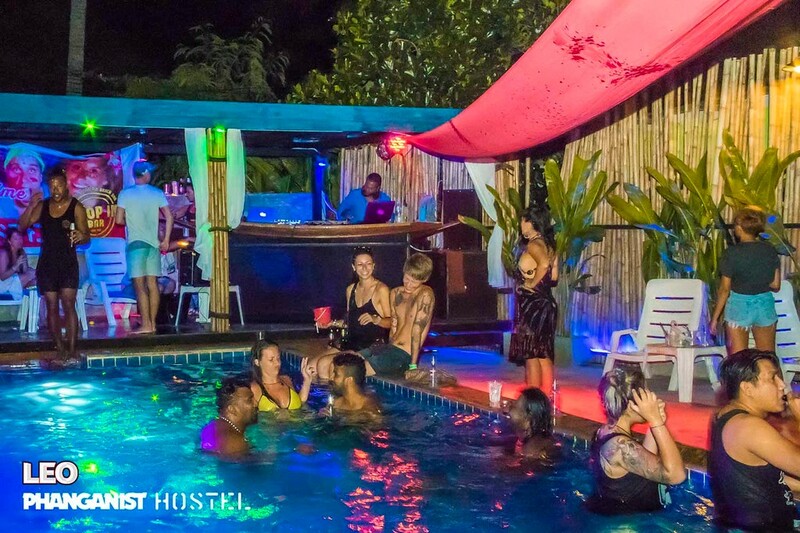 We have a range of cool amenities such as a swimming pool with large sundeck, chill out areas, big projector screen, Lounge Bar & Restaurant with pool table, beer pong and much more fun stuff. Our reception is open all day and from here, we can help and guide you with anything you might need on Koh Phangan. We will sort your ferry tickets, taxies, tours and activities for you so all you have to do is kick back and relax! We also have hairdryers available to use for those with messy beach hair, a lobby shop selling a range of handmade art pieces, full moon tops and shorts, lingerie and much more.